I hope you all are having a wonderful Memorial Day weekend! Ours was spent with family and much needed down time around the house. I spent my last day of clinicals in OB and we left around noon. I am so thankful that this chapter of nursing school is coming to a close. Zack, Paisley and I went out to eat dinner for the first time in weeks and ended up falling asleep on the couch before ten. My kind of weekend, y’all! My sweet sister-in-law graduated from high school! We are so proud of her! Saturday evening we welcomed my cousin home from college for the summer. She plays basketball at Welch College in Nashville and is one of my best friends. We love our Ashton. We celebrated with food, family, fireworks, a bone fire, and games. Paisley also had to dress for the occasion. We enjoyed an awesome message at church which I will be posting about later. We went to lunch, did yard work, bought groceries, watered the garden, and watched the Thunder finally win a game. P’s outfits are so stinkin’ cute! 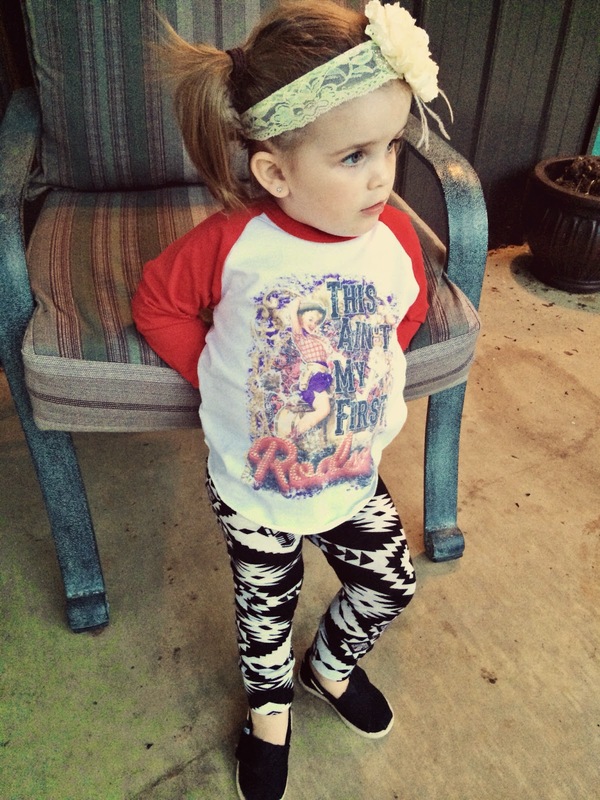 Love her cute leggings! Found you searching through some blog friends! Adore your blog! Following your blog via GFC. I would love a follow back when you have a moment!